As a ski and snowboard instructor at Vail, you are encouraged to pursue professional development and certification. 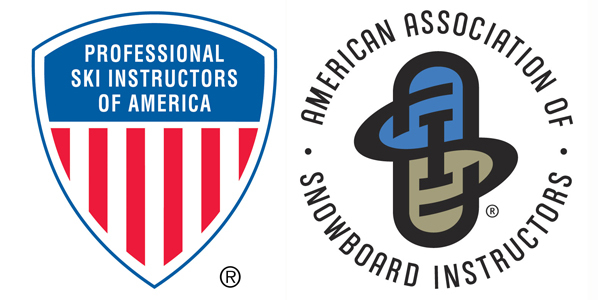 The Professional Ski Instructors of America and the American Association of Snowboard Instructors (PSIA-AASI) is a 32,000 member nonprofit education association that establishes certification standards for ski and snowboard instructors and develops education materials for instructor training. In Colorado, we are members of the Rocky Mountain Division of PSIA-AASI. When you join PSIA-AASI, you are becoming a member of both the national organization and the Rocky Mountain Division. In general, PSIA-AASI develops the certification standards, creates education materials, provides marketing support, and participates on your behalf with other organizations at a national level, while the Rocky Mountain Division conducts education clinics and certification and provides membership services in our region. To become a certified ski or snowboard instructor, you must become a member and then attend an on-snow certification event. Level 1 certification exams are offered throughout the season, at multiple ski areas – including here at Vail. There are numerous benefits to becoming a certified instructor, including learning to be a better teacher, earning the ability to teach higher level lessons, and increased pay. Here at Vail, we provide free in-house training to prepare you for certification. When you achieve a new level of certification you receive a pay raise to acknowledge your new level of professional development. In addition, Vail is one of the few ski resorts that reimburses you for achieving certification.